Time: 10 a.m. till noon & 1 p.m. till 4 p.m. There is no admission charge but DONATIONS are ACCEPTED with THANKS! Take FM 16 Exit off I-20 and follow the map (below) to find the Museum, which is just past Hilliard's Hardware Store on Hwy 16 in Van, Van Zandt County, Texas. Van is merely one hour and fifteen minutes from Dallas, thirty minutes from Tyler (the Rose Capital of the World) and fifteen minutes from Grand Saline, Canton and other surrounding towns. Canton is the home of the famous First Monday weekend Trade Days that draws thousands of people every month. Any time you are ready there is a Texas size Van Area Oil & Historical Museum waiting your arrival! "Who'd a Thought It" was the original name for the City of Van in the early days. History: With the discovery of oil in Van, Texas by the Pure Oil Company on October 14, 1929 on the W.T. 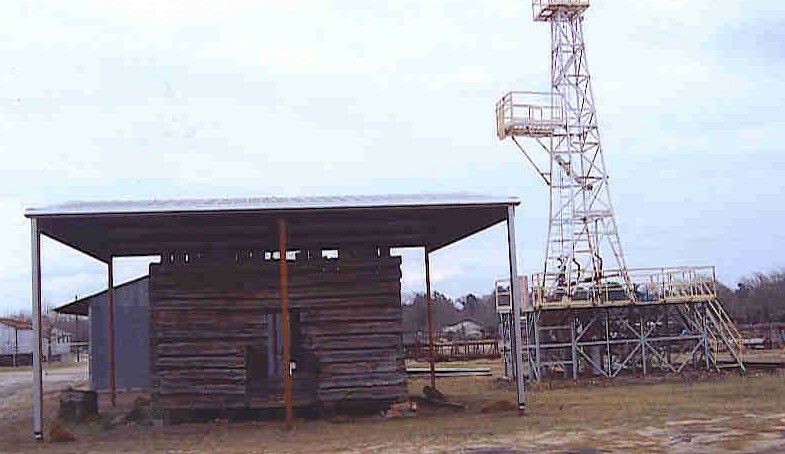 Jarman Lease, the community became an oil boom town. By December 14, 1929, three more wells were being drilled and completed. It was necessary to construct a camp with houses to house the 118 office and field employees. This camp was called Cook Camp. Among the other buildings that were built was the "Cook Warehouse," a sheet metal building where the Museum is now located. Many a tale, handshake, and hello were extended through the big doors of the Cook Warehouse. 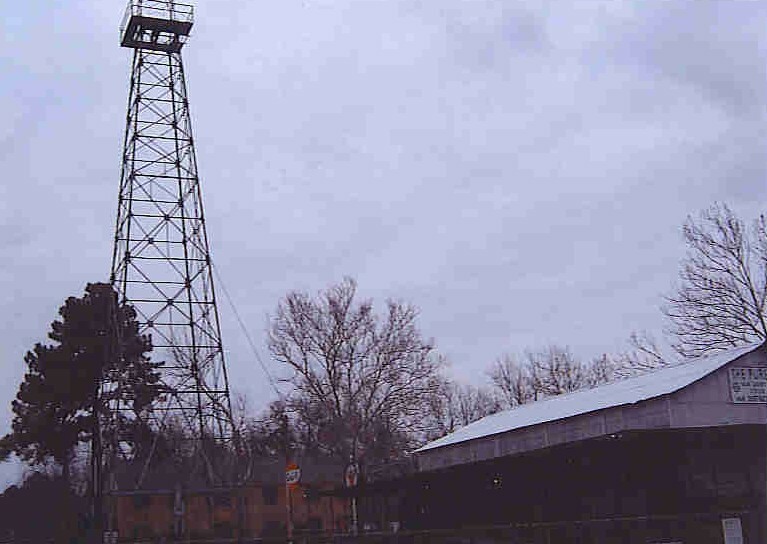 The warehouse served as an oil field warehouse from January 1930 to February 1966. At that time this particular era was ended. The Union Oil Company purchased the oil company properties in the Van Field in 1965 and changes once again began. The Cook Camp was closed. The Cook Warehouse was used by the school system for a period of time and then as a restaurant for several years. Then when a group of citizens decided to start a museum in 1987, they chose the Cook Warehouse and the Van Area Oil and Historical Museum was born and incorporated. The Museum houses artifacts of significant importance to the oil boom days of Van, as well as reflecting a life style of early Van residents. Van boasts a wonderful and beautiful heritage of the early oil boom days. Seventy years later Van still has operating wells with the only oil derrick that still stands in front of the museum. The city is very proud of its heritage and continues to undertake preservation of its history in an effort to share the strength and the character of the citizens who molded yesterday's oil boom and shaped the future of its proud city. 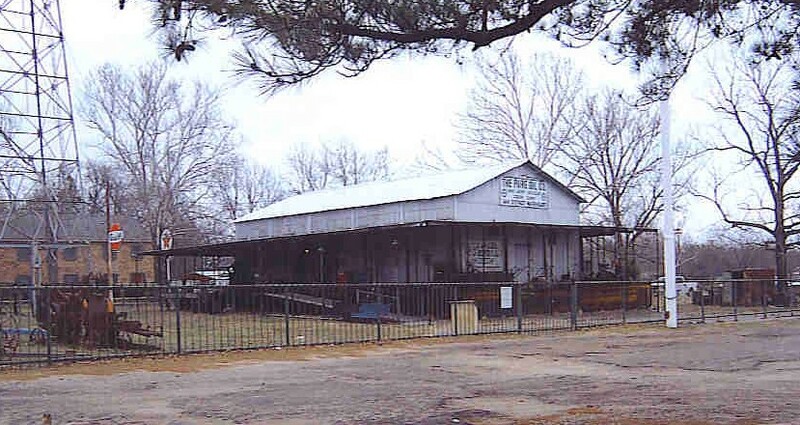 Also on the location of the Museum there is an authentic East Texas Log Cabin being restored. A colorful heritage will greet you as you discover the unusual items in the Museum. Van was a farming community before the oil boom days, with truck farming and cotton farming prevalent. In the Museum you will find artifacts of the oil field heritage in Van, along with numerous historical items of that era. The Museum houses displays such as an old workable corn sheller, sewing machine, postal equipment, surveying equipment, a small working replica of an oilfield pumping unit, various types of arm equipment, an old fire truck, all types of oilfield tools, various household items such as World War II ration books, items from the schools such as school desks, etc., and a full display from one of the old country stores in the area during the early days of Van are on display for the viewing pleasure of the public. Van is a unique small oilfield town and is noted its outstanding school system and school buildings, some dating back to 1931. The discover well, the Jarman #1, is located within the city limits of Van and Union Oil of California is still very active in their search for oil and gas in the Van Field, along with the continued daily operation of the oilfield. So.....Welcome to Yesterday's Boom Town.....and Van as it is today! Authentic East Texas Log Cabin waiting to be restored. For more on the history of this cabin. You're the [an error occurred while processing this directive]person to visit this page.